When a husband and wife divorce in Missouri, they often enter into a settlement agreement that sets forth the terms of the dissolution of their marriage. With the assistance of their Missouri divorce attorney, a well drafted marital settlement agreement will cover the division of assets and liabilities, the establishment of maintenance, child custody, visitation, and child support. The settlement agreement is usually incorporated in the judgment of divorce and the agreement as well as the divorce decree become a court order. Similarly, Missouri family courts help couples decide issues of paternity, child custody, visitation, and child support when a child is born outside of a marriage. Whether the underlying action in Missouri is for divorce or it is an action for declaration of paternity, once a judge signs the final order, it becomes a binding document. Each party must comply with the obligations and terms outlined in the order. However, parts of these orders may be subject to change through an action to modify the previous terms. Only a Missouri family court judge can modify an order once it is entered. In general, Missouri permits court orders, involving child custody and support orders to be modified if there is a continuing change in circumstances. When faced with a change in income or need or circumstances involving the custody of your children, the Missouri family law attorneys at The Bellon Law Group can guide you through this process. While some changes may occur automatically by operation of law, for example, the termination of a maintenance obligation when a former spouse who is receiving maintenance remarries or the end of a child support obligation by the emancipation of the child, court orders will not change until an order and judgment of modification is entered by your Missouri family court judge. The process to change an order of child custody, child support or maintenance begins with the filing of a motion to modify in the same family court that issued the original order. 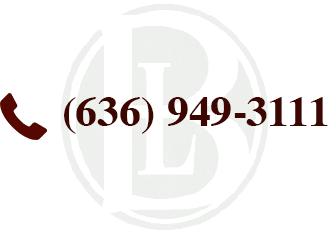 The family law lawyers at The Bellon Law Group are experienced attorneys who can guide you through the process and evaluate your situation for you. Courts take modifications of divorce decrees and family court orders seriously. The party seeking to make the change has a high burden. Contact a The Bellon Law Group today to schedule a confidential consultation regarding any contemplated change to an existing divorce decree or child support order.